The way artists painted running horses changed forever once artists saw photos by pioneering photographer Edweard Muybridge. Horses move their feet so quickly when they’re galloping that it’s impossible to isolate an individual phase of the action by observation alone. So it’s understandable that artists painted them with their legs held out hobby horse fashion. The painting above is by Alfred de Dreux from 1857. 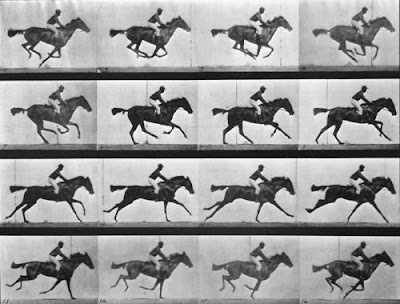 Muybridge took his first fast-action photos in 1878, but they only became known in Paris in 1881, when Leland Stanford arrived with Muybridge and his lantern slides of running horses. After that time, artists changed their way of seeing things forever. It's impossible to "unsee" something as visually compelling as Muybridge's photos. Today, the way we see and imagine the world is bound to be influenced by time lapse, slow motion, movie visual effects, and MRI photography, just to name a few ingredients of the visual stew we consume daily. If you haven't already done so, a great book worth reading is "The Judgement of Paris" by Ross King. According to King, Meissonier built a train track in his back yard, and affixed a mobile studio atop it. Several men pushed it at full speed, and a galloping horse was run near it. Meissonier would paint and take notes of the movement of the horse upon repeated passes. This informed his magnum opus in the MET. Another good book that includes this topic: The painter and the photograph from Delacroix to Warhol, by Van Deren Coke. 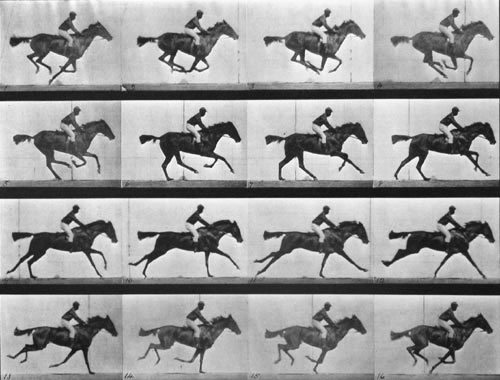 The Muybridge photos are one example of a greater impact photography had on painters. Very cool. And yet sometimes in cartooning we often draw animals that way anyhow...because it conveys the action more effectively than what is "right." Meissonier was apparently partly responsible for bringing Muybridge to France. I wrote a paper about this in college. Governor Stanford wanted to commission a portrait from Meissonier, but being successful enough that he didn't need to take commissions, Meissonier turned him down. Stanford was able to convince him to relent by agreeing to deliver Muybridge and the eponymous plates to Paris as payment for his services. There's an interesting anecdote about the event where Stanford visits Meissonier in his studio and challenges him to make sequential drawings of a horse walking. Meissonier struggles to complete the task, at which point Stanford dramatically produces the Muybridge plates which will make all his fumbling moot. Muybridge ended up doing a lecture tour in Europe where he would discuss the successful or poor handling of animal locomotion in various artists' work. 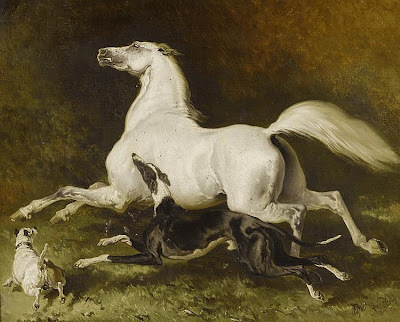 He disparaged Rosa Bonheur and praised Meissonier, who was said to have modified some of his completed paintings to reflect what he learned from the Muybridge plates. The portrait of Leland Stanford, complete with errant Muybridge plate in the background, can be seen at the Cantor Art Center on the Stanford University Campus. In an article for Harper's, Gérôme claimed to have discovered this some years before. JG, here is an interesting article on animals in art. Wouldn't you have loved to have been a fly on the wall at that gathering? Muybridge's animal plates are still available as a hardbound book published by Dover. It mostly focuses on horses but there are also dogs, cats, a few zoo animals, and even a handful of birds in flight. I bought a copy long ago when I was still in high school and it's been an indispensable resource . . . I still refer to it. There's a second volume on human locomotion which hasn't been as useful to me (lots of men hitting baseballs and women standing at washstands) but it's still interesting and might be useful to other folks. Both are available at the big online bookstores. Victor, thank you for sharing the additional info . . . that's a great anecdote. It seems to be a variation of the way a horse walks and trots...given that the front legs are never moving in unison and the hind legs are never moving in unison, it doesn't seem like it would be that hard to figure out, or at least determine that the artist's convention a la de Dreux just wasn't plausible. @etc,etc: Unless you're paying very close attention, it's hard to really visualize or spot just how animals move, even ones we have close contact with like cats or dogs. I remember reading that quadrupeds generally move both feet on one side before moving a foot on the other; so it's left back, left fore, right back, right fore, etc. This seemed really weird to me, but I watched my cat closely for awhile, and sure enough, that's how it works. Also, even having seen those famous plates, drawing a horse in motion is really very difficult to get right. I was working on a sketch just yesterday and even after consulting photo reference, I'm not sure I got things exactly correct. If all you had to go on was a quickly moving horse, I think it would be very difficult indeed. @Bill H - yeah that would have been on amazing dinner party! @etcetc- it would seem that way, yes, yet each gait is unique. The walk four beats, the trot is two, with the opposite fore and hind legs moving in unison, the canter is three, with the hind legs hitting almost simultaneously and the gallop four, as the horse is stretched. When riding you can feel these actions but it's still difficult to capture them in drawings or paintings without reference material like Muybridge's photos and those that came after. I sometimes wonder if this is why paintings of the Spanish Riding School only include the more static movements like piaffe or levade. As though they knew they wouldn't get it quite right. Shouldn't artists be paying very close attention? How hard is it for you to look at the front legs in isolation or the hind legs in isolation and determine that they are not moving in unison? Thanks, everyone for this really interesting discussion. I've learned a lot. NY Studios, yes, I've read Ross King's book and I love it. Victor, thanks for explaining more about that encounter. I love when I get the opportunity to see artists who rely *too* much on photographs of horses running. I can't find it any longer, but I used to have a picture of a contemporary artist's painting with what appeared to be flying horses, being ridden by Native Americans into battle. I image the war for the West would have ended differently. Sometimes painting something that's real doesn't mean it looks true. 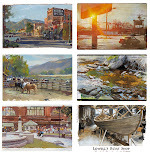 great blog here and this entry close to my heart i.e., horse in art. 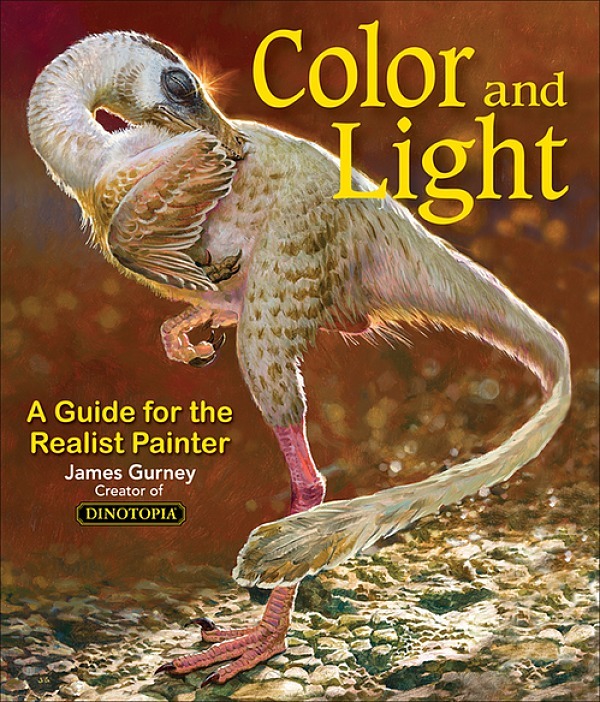 I just recently got your book on colour - quite splendid set of lectures. Ad rem, there are some splendid art pieces made for or by the Scythians/Saka and Indo-Saka (2000-2,300 years ago) that show horses in anatomically correct movements - I guess the ancient nomadic artists had much more trained eye than their more urban counterparts to see the movement. I know this is a really old post but I wanted to comment as a rider who has taken a fair few dressage lessons in my life. Dressage is a method of training horses to respond to more and more refined signals (aids) delivered through the rider's seat (weight), hands (reins), and leg (calf). Part of that refinement is timing an aid to coincide with the horse's gait at a moment when it will be easiest for the horse to respond. I recall many a lesson devoted to learning gait patterns and how to feel them so that signals could be delivered at the correct moment in the gait. It's not as hard as it sounds...there are four gaits (walk, trot, canter, gallop), each with it's own regular pattern of footfalls. Once you know a gait's pattern, it's dead easy to see it in moving horses. Which leads me to wonder...considering how old dressage methods are (for example, the Spanish Riding School in Vienna that trains the Lipizzaner stallions was established in the 1500's)...why artists didn't learn this from the advanced riders of their day. I guess we'll never know! I love your blog...thanks for sharing your knowledge so generously.